We start with our very best essential tips. Apply the following tips and your macro photos will improve, which in turn will give you so much more enjoyment and satisfaction in this very hard photography genre. Aperture. Just because your dedicated macro lens goes down to F/2.8 doesn’t mean you need set it at F/2.8. If you shoot at F/2.8 and get nice and close to your subject, chances are you’ll only have the eye in focus. Therefore try F/5.6 instead when shooting up close! Most macro photos you see online are cropped tight in post processing. The photographer isn’t really shooting that close to the subject! Personally I like standing a pace away back from the subject to get as much of the insect in focus, then cropping close in post processing. I find early morning is the optimum time for macro photography. Best example being for dragonflies when they still have dew on their wings and are unable to fly. Importantly most mornings, just before sunup, is the time when there is less wind and the lighting is shadow free. Move into a position that gives you the best possible background. The right background will not only compliment the main subject, it is equally important to the overall image aesthetic. You’ll never capture a good macro chasing bugs around the garden. They are just too quick, zipping around here, there, and everywhere. 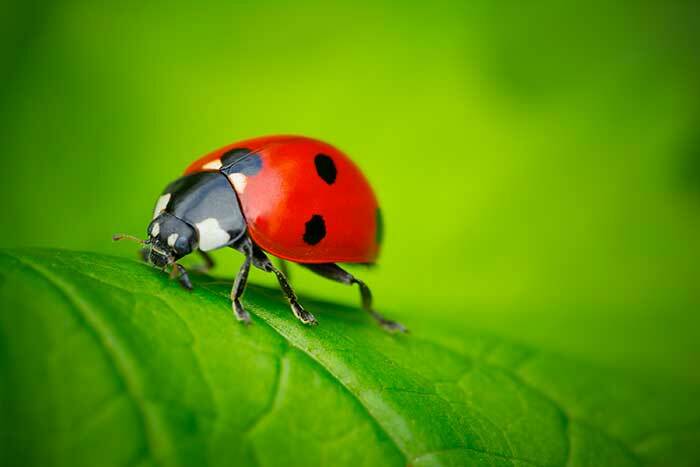 Instead, find a curious insect that is sitting still. Be patient and focus on a flower that they return to often. Unless your intention is motion blur, make it easy on yourself and wait for a calm day before photographing macros. Sometimes the gentlest of breezes can make macro photography difficult and actual wind can mean a sharp shot is nigh on impossible. If your lens is having trouble focusing, switch it to MF/ M. Learning to focus manually is useful when shooting flying insects such as a hoverfly or bee. Good macro photography needs plenty of light. Either sunlight, or an off camera flash. Even better, a ring flash or twin light flash unit. With plenty of light you can shoot fast shutter speeds, or higher apertures. Good lighting means more in focus and super sharp shots. Learn to listen and feel your lens as it locks into focus. There is a difference between soft and hard focus. You can actually hear and feel when a lens locks hard onto the subject. With practice you will get to know your lens and achieve sharp shots nearly 100% of the time. Be familiar with the habits of your subject. For example, butterflies are easier to photograph later in the day as they settle down and rest for the night. Flying insects are best to photograph in the early morning, when their wings are wet from overnight dew. Bees become active after the sun rises. Read about the subjects you are likely to photograph in your local area. Study which plants they like to feed on or what prey they like to hunt. Knowledge of your subjects will make your macro experience easier. Macro photography should be fun. If at first you don’t succeed, try again. Macro is not an easy photography genre. See it as a challenge and don’t become disheartened. And definitely don’t give up. Shooting with a dedicated macro lens takes practice and time to build up your skills. Once you achieve moderate success with your macro lens you will build confidence in all other forms of photography. You won’t nail each and every shot no matter how experienced you are and what gear you shoot with. With patience, perseverance and knowledge, the macro world will delight you and give you countless hours of pure enjoyment. There’s nothing as good being in the company of Mother Nature. 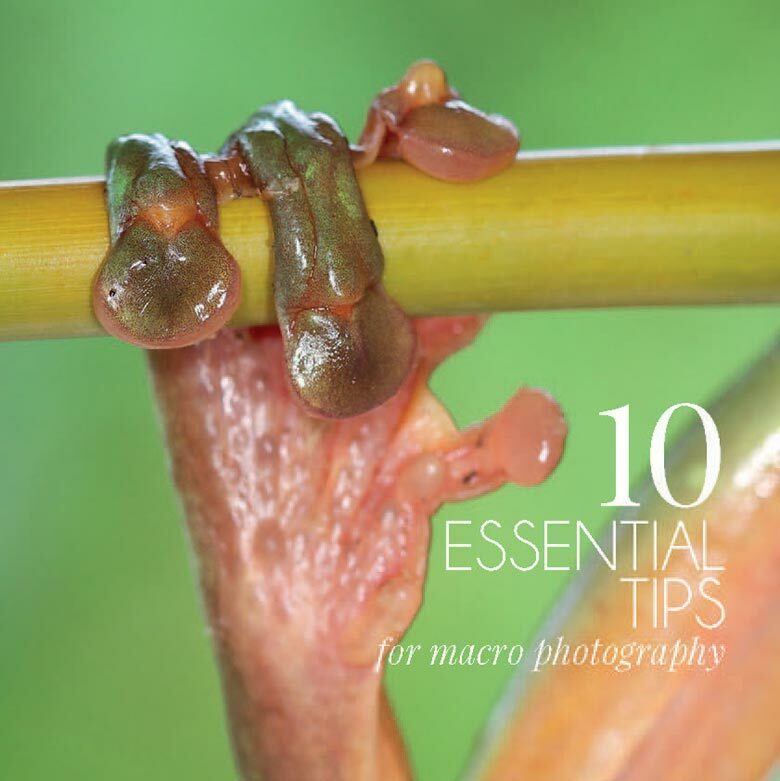 We hope these essential tips for macro photographers help you enjoy this wonderful world, especially when you are behind the lens.